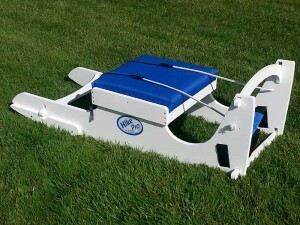 Just Marine has launched a new product, called Hike Pro, a dynamic hiking bench. This hiking bench is not static, but responds to your hiking exertion, giving you real time feedback on your performance. Your boat tips when you hike out, and so does Hike Pro. Learn about this new hiking bench at hiking-bench.com. This entry was posted in Dinghy Racing and tagged hiking bench by Philip Thompson. Bookmark the permalink.